Celebrate the holiday with a Christmas classic… the Peanuts gang! 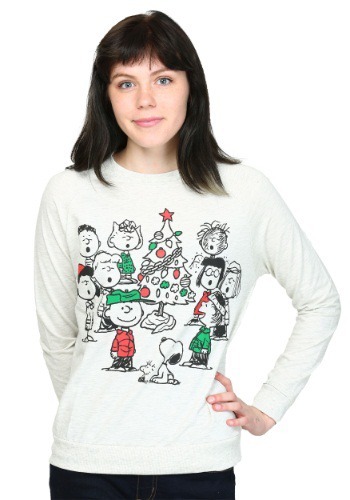 Yep, Charlie Brown’s tree just needed a little fixing up, and it’s all right here on the front of this womens Peanuts Christmas Gang French Terry Pullover! With festive red and green colors, we can’t think of a more fun and sweet thing to wear during the holiday season..